The future homeowners of this incredible project had found the perfect location to construct their dream home. 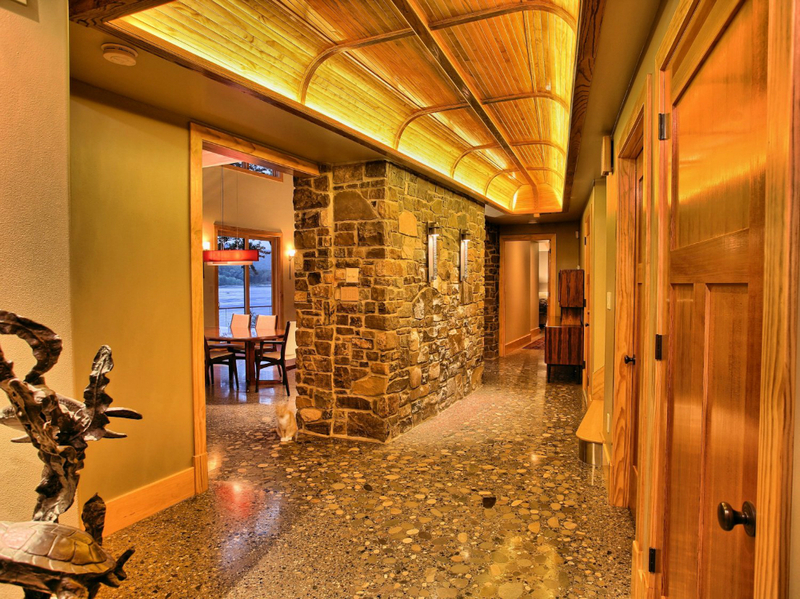 On the banks of the Susquehanna River, the beauty of nature is all encompassing and the Damgarrds planned to construct a home that would not only exist at that location, but become a part of what surrounded them. 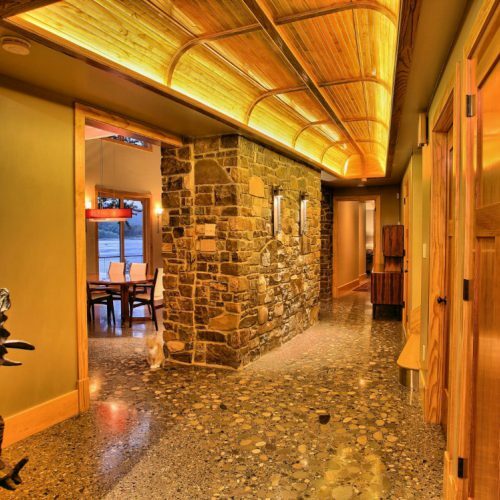 They also wanted to bring the beauty surrounding them inside their home. Their love of art and creativity was a driving force and kept them heavily involved in the plan, design and eventually even the construction itself. A dedicated interest in our ecology also saw Mr. and Mrs. Damgarrd strive to achieve LEED certification while realizing their dream. All of these motivations eventually led them to concrete as their material of choice in many aspects of their home. 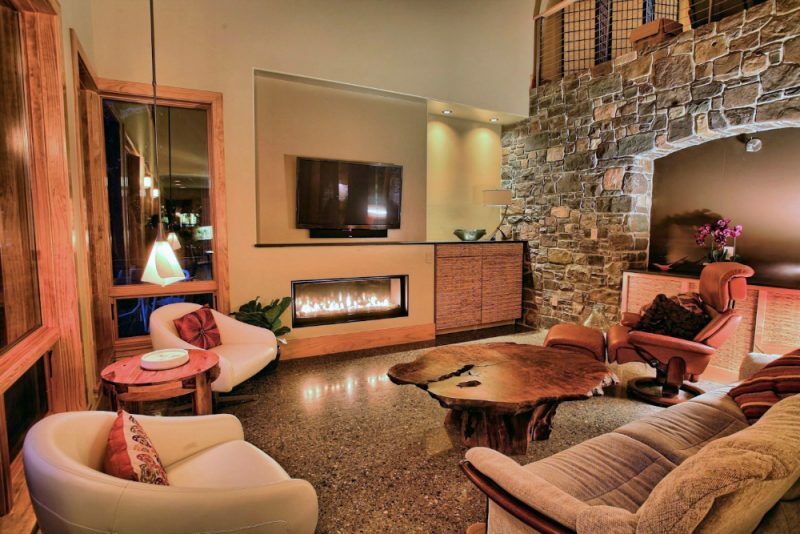 Featuring a color stamped concrete driveway, exposed aggregate concrete walks & patios and an interior polished concrete floor utilizing integral color and river stone aggregate the River Lodge is a showplace for the versatility and beauty that concrete offers as a construction material. Those goals have all been accomplished. 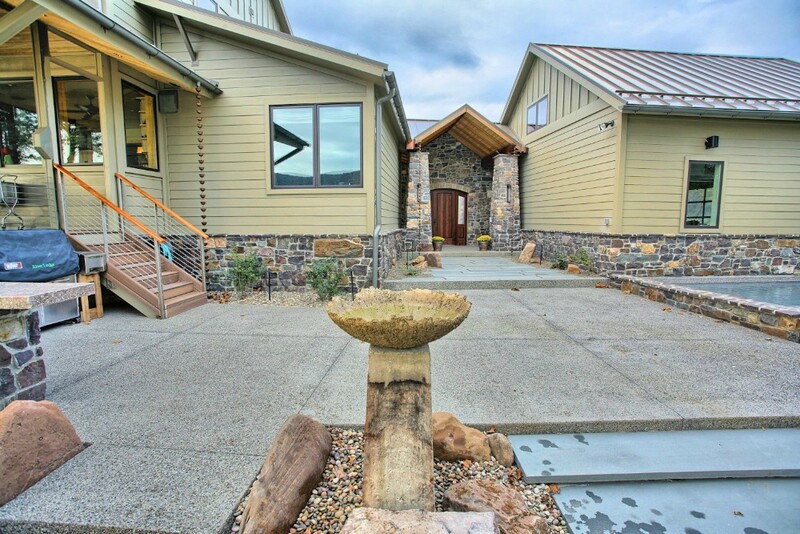 Not only at peace with its surroundings but now a part the landscape itself, the Susquehanna River Lodge is art you can live in and environmentally friendly achieving LEED Gold certification.